Sangaku is the captivating new number game that uses simple math and logic to reveal the mystic harmony and powerful symmetry of numbers. These puzzles work a bit like Sudoku: the player is presented with a pattern, shape, or grid, and must put the correct numbers in the right spaces in order to complete the puzzle based on mathematical rules. But Sangaku puzzles force you to think outside the box — literally! They can be any size, shape, or arrangement, and may call on any set of numbers, not just zero through nine. But despite their limitless variety and unpredictable challenges, these puzzles require nothing more than basic math skills and elbow grease to complete. Japanese for “mathematical tablet,” Sangaku puzzles are named for ancient devotional tablets featuring complex geometry problems left in temples and shrines centuries ago. The puzzles in this book evoke the same feelings of awe for the mystery, complexity, and power of numbers that inspired the mathematicians and mystics of ancient Japan. 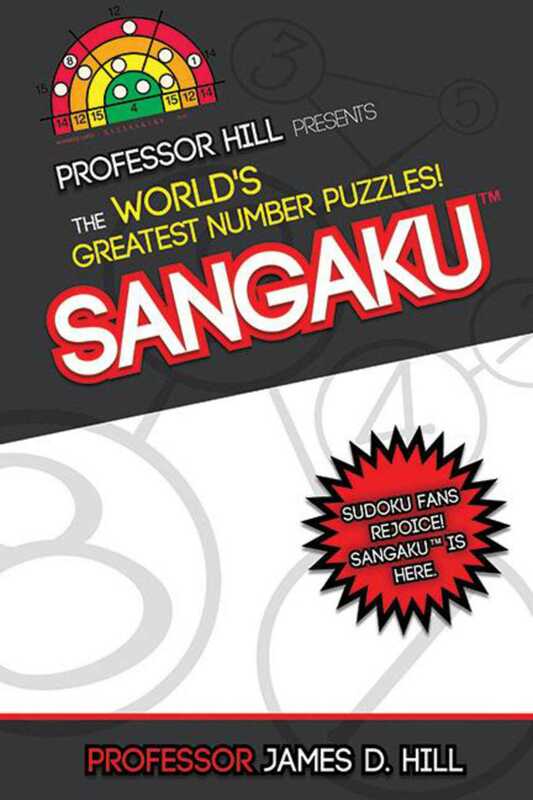 With more than two hundred puzzles, Sangaku will keep you and your friends amused for hours, sharpen your math skills, and change the way you think about numbers. It’s the perfect time-killer for puzzle lovers of every age and skill level.